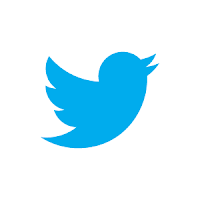 At the suggestion of dear Chris Coleman (my radio host on ABC Statewide Afternoons), I now have a Twitter account. My handle is @PuzzlingDenise. I'm so happy to announce that our latest app, CrypticGuide, has been approved by Apple today, and is now available on the App Store! 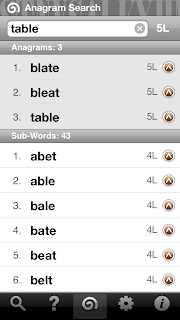 CrypticGuide has a cryptic dictionary with over 6,900 entries in it, with cryptic synonyms, indicator words, abbreviations, and homophones. 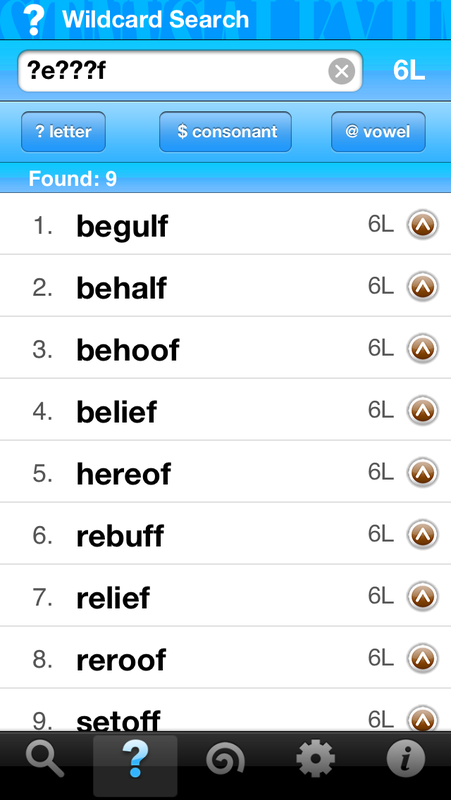 So you can type in a word or short phrase from a cryptic clue, like 'see' - and the app will tell you that see can lead to the words ELY (a UK diocese, or see, name), LO, or VIDE (see in Latin); the abbreviations C (sounds like see), V, or VID (see in Latin again); it can indicate a container or hidden word wordplay device; and it's a homophone for sea! 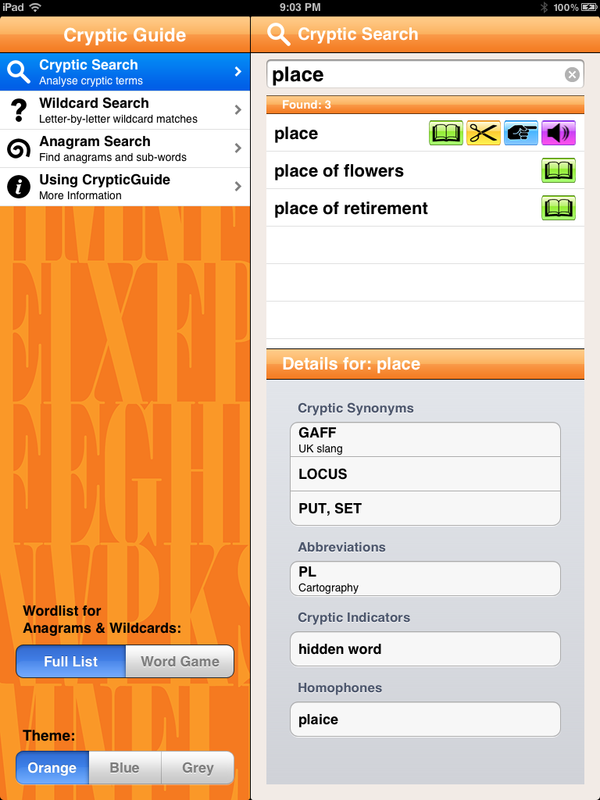 So this will hopefully help you a lot with cracking cryptic clues. 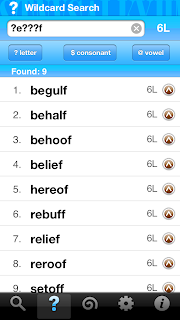 You can choose between a full word list for the wildcard and anagram searches – which includes proper nouns and short phrases — or you can use the 'word game' list which is approved for use in games like Scrabble®. As you can see, it works beautifully on iPhones, iPads, and iPod Touches ... and you can change the colour theme. If orange isn't your thing, maybe blue, or grey are! My husband Ralph did the very complex programming involved in making my idea from May last year actually come into existence. 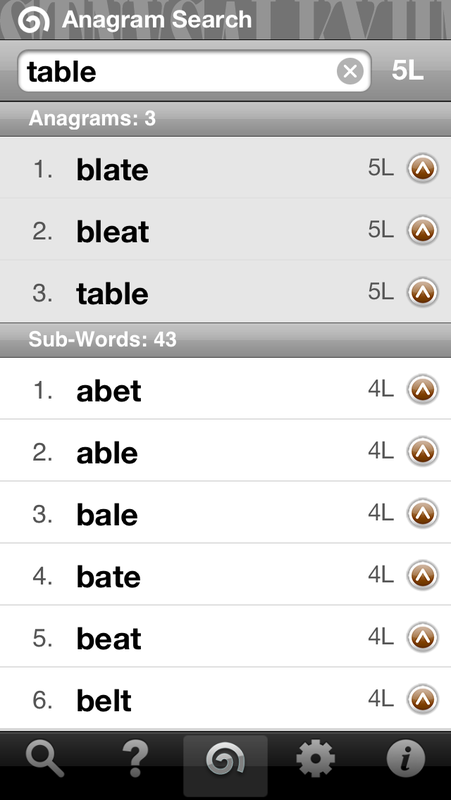 And I've spent untold hours compiling the cryptic dictionary, putting together the vast database, editing words lists, and creating the graphics for the app. I must thank our awesome beta-testers, Karen McLoughlin, Peter Johnston, and Jenny Cox, for their help in checking the app. It was a long and often nit-picky job, and their help was invaluable. 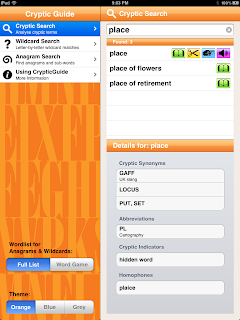 You can check out CrypticGuide on the App Store, and read its User Guide on my website. Enjoy!